The Samsung UN55JU6500 is one of the absolute best TVs on the market today. You cannot beat the quality of pretty much every aspect of this TV which makes it a great choice for anyone who values top notch quality and uses their TV frequently. It is extra perfect for gamers and avid movie watchers because of the stunning quality of the picture and because it has 3D capabilities. This TV is stunning, and it has a huge range of options and capabilities for visual displays. It may take a little time and research to program it just how you want it to be but it will be worth it and there will be a setting that you will prefer based on the light sources in the room it is placed in. Some people give bad reviews on the visual aspect of this TV, but it is clear that they do not know how to program it correctly. There are directions, or you can simply call customer service to get help on how to set it correctly. The 3D is incredible and such a fun addition to this TV. It is a great reason to get people together and have movie watching parties and get-togethers because it is such a unique feature that many TVs do not have yet. Gaming is an absolute blast with the visual features that come with the Samsung UN55JU6500 because you literally feel like you are inside of the game. Awesome visuals! All of the best apps work well with this TV, and the only thing that really needs to be said about the app features is that they need to be updated. You will also need to reset on the smart hub after any updates since the apps might not work properly if you do not do that. Hooking up to other devices is a breeze, and the quality of the picture and sound is not compromised in the least. Whether it is a game system, a computer, speakers, USB or any other device, you will be impressed with how well it works with all of these and brings in the best quality available. 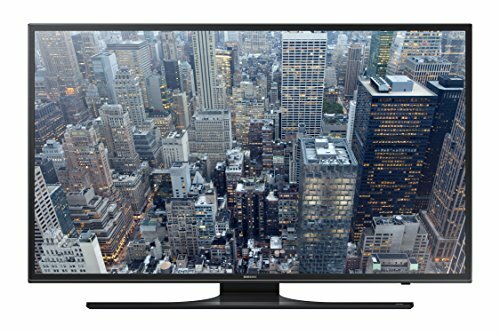 The Samsung UN55JU6500 looks very high tech and really makes you feel like you have joined the big leagues of TVs when you get one. It is a great piece to show off to friends (and share of course) because it really is impressive and the technology and capabilities it has are astounding. It is very streamlined and slim – the wall mount is very slim and nice looking too. You can also just set it up on a stand too but the wall mount is way cooler, and you can put it at a different angle. It does not swivel though, unfortunately. Sony KDL40W600B Review – Perfect TV for anyone! Samsung UN48H4005 Review – Awesome, high-quality TV!